A long awaited family Christmas in Ontario, and Lesley-Anne tucked some poems into her suitcase at the last minute. According to local residents and reported by journalist Kim Zarzour in the local newspaper “The Liberal,” what happened next was cause for a mysterious stir in Lesley-Anne’s old neighbourhood in Richmond Hill, Ontario. And now the mystery is solved. 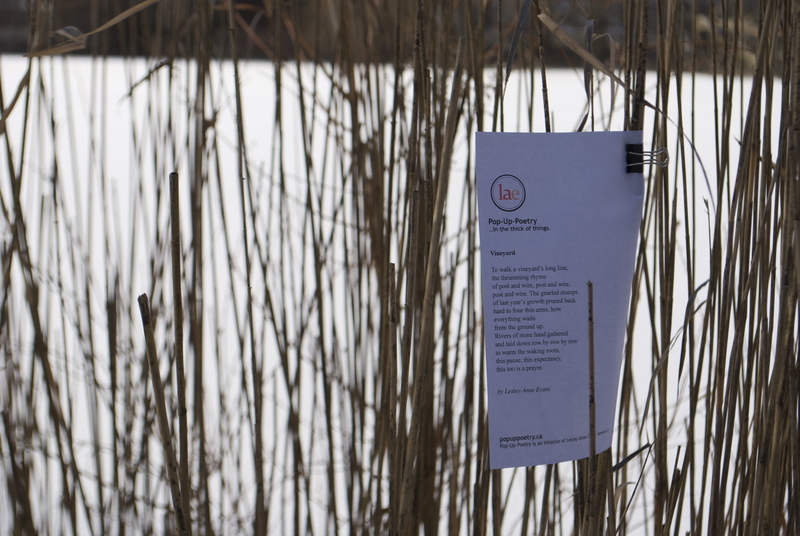 Pop-Up-Poetry is pinned across Canada, and making it’s way across the world. Thank you, Lesley-Anne. You can read the full article by Kim Zarzour, HERE.